EmailPro comes with a hoop of features along with free goodies. Email is one of our core products so, we took every effort to extend the features of our EmailPro. It is feature packed and a one stop solution for all business email communication! With EmailPro, we do not limit you by pre-defining mailbox sizes. When a pre-defined limit is set on mailbox storage, you cannot actually use the most of it, as most storage in most mailbox is left unused. We understand that while some mailboxes may only need 1 GB storage to store emails, some requires as much as 10 GB, or more, but never the same. This is why we allow you to customize mailbox size and set storage quota for your mailboxes as much or as little as you like. We also do not limit you on how many mailboxes you can have. Create as many as you like! The catch all or default email address receives emails sent to an invalid or non-existent email address and can redirect them to another mailbox or to a ‘pipe’. For example, if you have only two email addresses – [email protected] and [email protected] but someone sends an email to [email protected], then your catch all email will receive this email. If you do not have catch all enabled, any email sent to an invalid address will get bounced. Mailing list allows you to put multiple email addresses in a list and assign a single email address to send email to everyone in the list. When you send an email to a list, everyone in that list will receive it. You can also set who can post to a list. This increases productivity, for example, if you frequently need to send email to 20 emails, you can create a mailing list for those 20 emails and when you are sending email to them, all you need to do is to type [email protected] in the ‘To’ field and hit send. The email piping is a technique of sending email message as an input to a program rather than appending the message to the mailbox file, allowing for real-time email delivery and handling. It is a vital feature for some real time communication and collaboration applications. For example, you might have a support system to provide support to your clients. Your client sends an email to [email protected] and the support system imports emails from [email protected] every 30 minutes. If you have email piping enabled, the emails your clients are sending will be sent to the software instantly, without any delay. SpamAssassin is an email utility that filters spam by examining incoming email and testing for spam characteristics. It uses a diverse range of tests including Bayesian spam filtering and network testing to identify and screen incoming email for unsolicited bulk email or spam. These tests examine email headers and content with advanced statistical methods and classifies spam probability of an email message. Calendar & contact is integrated with our mail solution so that you can maintain all your contacts, events, schedules and appointments from one central place and access and sync it with your email client. Email authentication is used to automatically detect the nature of incoming and outgoing emails. DKIM prevents phishing and allows your server to verify if incoming messages are unmodified and genuinely from the indicated sender. SPF is used to authorize servers and IP addresses to send mail from your domain(s). This feature prevents outgoing spam messages. Our servers uses both SPF & DKIM to fight spam. SSL/TLS is used to encrypt communication or connection between your email client (outlook, webmail etc.) and server to increase security. This also makes removes limitation for you from any ISP port blocking. We support both SSL & TLS encryption for SMTP, POP3, IMAP4 and Webmail. SMTP, POP3, IMAP are connection protocols that a mail client (outlook, webmail etc.) uses when it connects to a mail server. We offer extremely fast SMTP, POP3 and feature rich IMAP implementation on a variety of ports with or without SSL/TLS encryption. Webmail allows you to access your email from any device that has an internet connection through a web browser such as Firefox, Internet Explorer etc. We provide three different easy to use webmail applications – horde, roundcube and squirrelmail for the end users and each administrator can decide which one they prefer. These brands are global leaders, most widely used and well known for easy to use, seamless interface. This feature allows you to review details about email delivery attempts for your account. You can also trace an email's delivery route from your mail server to the remote address. This can be useful for locating problems with email delivery. Forwarders allow you to send a copy of all mail from one email address to another. For example, if you have two different email accounts, [email protected] and [email protected], you could forward example.com to example1.com so that you do not need to check both accounts. With domain forwarders, you can forward all email traffic from one domain to another domain. With filters you can automatically perform predefined actions based on custom set criteria. You can forward an email, send a reply, delete or mark it as spam. With account level filtering you can perform an action on all email sent to all of your domain's email accounts. User level filter allows to set filters on a per email basis. The disk read/write limit of your application/website is limited by IOPS limit. If you are set to a low IOPS limit, your web application will always perform slower. Most providers have set this limit to 1 Mbps on shared server. We have doubled it. We have set this limit to 2 to 5 MB/s on our shared servers. As a result, your application will run faster and gain higher search engine ranking on google and other search providers. We stick to high performance enterprise drives in a hardware RAID 10 array which gives a big boost in performance, redundancy and reliability. With SNI enabled, costs of installing SSL is even less. A costly dedicated IP is no longer required to install SSL. CloudLinux is the latest trend and most secure and effective environment for hosted services on shared servers. With CageFS, it creates a virtual environment for each user separating them from issues caused by others and allows server resources always available to the web hosting account. Any error or failure specific to a single user will only affect that user and any other user will not experience any of it. 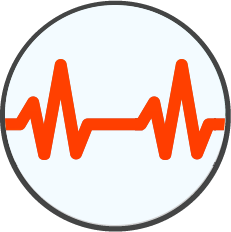 While a normal Linux server may go offline due to sudden spikes caused by a single user, CloudLinux stays stable by isolating the impact to the offending tenant. Our hosted solutions are designed to handle corporate data in larger volumes while maintaining the experience smooth for the end user. To ensure robust data transfer, we didn’t just settle with doubling IOPS but also carefully chose our servers with 1 Gb/s network ports in strategically located data centers with most diverse fiber optic connections. 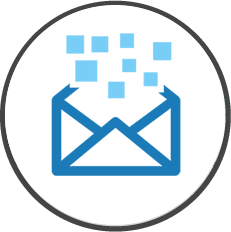 Our email solution comes with free migration from your old solution to us. When you opt in with us, we’ll import all your old emails, documents and files for free. Because at MechanicWeb, we just don’t bring better solutions, we understand the value of your data and take every measure within our reach to keep them safe and intact. You can also import your email addresses and forwarders yourself from a XLS or CSV file using ‘Import Email Accounts and Forwarders’ tool and import old messages through IMAP or POP. Security has become the main concern for email communication and most web based solutions. We value the importance of securing your data and communication and so we act accordingly. We provide a Comodo SSL certificate (a $55 value) for free with select packages to ensure safety of your applications and email communications. Having SSL installed on your web application also boosts search engine rankings. All EmailPro plan includes web hosting, that is, you do not need to purchase additional web hosting to host your websites. Now that is called cost effective! We have installed LiteSpeed Enterprise Web Server on all of our shared Linux web hosting servers. Unlike Apache which is free, LiteSpeed is enterprise grade paid software which is blazing fast and more stable. It is a web server that is 9 times faster than Apache, PHP processing is 50% faster and can serve static content up to 5 times faster, dynamic content up to 40 times faster and SSL (HTTPS) up to 3 times faster than Apache. MySQL databases uses different storage types. The most common is innoDB. While innoDB is popular, it crashes frequently resulting a nulled database and losing all your data. After Oracle purchased MySQL, the original developers of MySQL created a new storage system for MySQL which is more stable than native innoDB. It’s called MariaDB. It is designed to run MySQL database. We have MariDB installed on our servers.